Dammit, this blows. 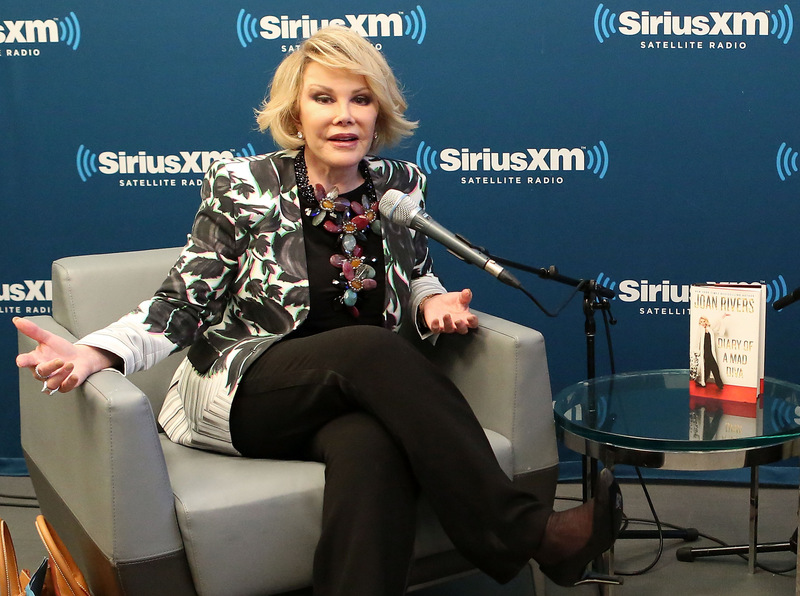 Trailblazing comic, Chief of the Fashion Police, master of the not-minced word, inspiration to many, and all-around brilliant person Joan Rivers passed away at the age of 81. Thursday, Melissa Rivers released an official statement that her mother had died at Mount Sinai Hospital after a series of medical issues that transpired after undergoing surgery on her vocal cords. "My mother's greatest joy in life was to make people laugh," Melissa said in her written statement. "Although that is difficult to do right now, I know her final wish would be that we return to laughing soon." After the news broke, countless fans took to Twitter to mourn the loss of the one-of-a-kind individual. Some suspected that the story was just another celebrity death hoax, others shared the impact Rivers had on their own lives, a few recounted personal memories, many offered up their condolences to Rivers' family, and others paid tribute by tweeting some of Rivers' jokes. And though I am incredibly sad about her passing, I couldn't help but grin when I read some of her harshest, raunchiest one-liners. She was a treasure, that Rivers.